I know the 4th of July isn't until Monday, but I figured you might need a head start in getting things ready for your big celebrations so I thought I'd bring you the goods a few days beforehand. 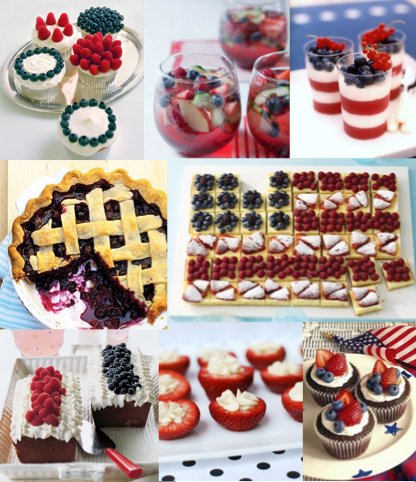 When I think of the 4th of July, I think of berries. And fireworks. And independence. But mostly berries. Is that weird? 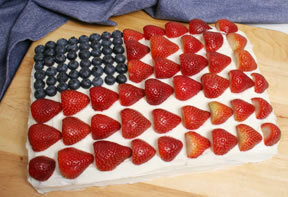 Perhaps that fruit flag cake that everyone makes has become an indelible reminder of our nation's independence for me. I'm pretty sure Jon would cringe upon reading that, but it's the truth. The flag cake has become synonymous with the 4th for many of us. It allows us to partake in a sweet and somewhat healthy food while also "showing our patriotism." And if we really want to show out, we'll make sure that there are exactly 50 blue berries gracing the upper left-hand corner of our creation. That means we really appreciate the land of the free. All kidding aside, the flag cake isn't a bad thing to make for the 4th of July. After all, what screams Americana more than berries picked from a homegrown farm? Nothing. And that's why I'm going to be showing you some my favorite 4th of July berry treats today. 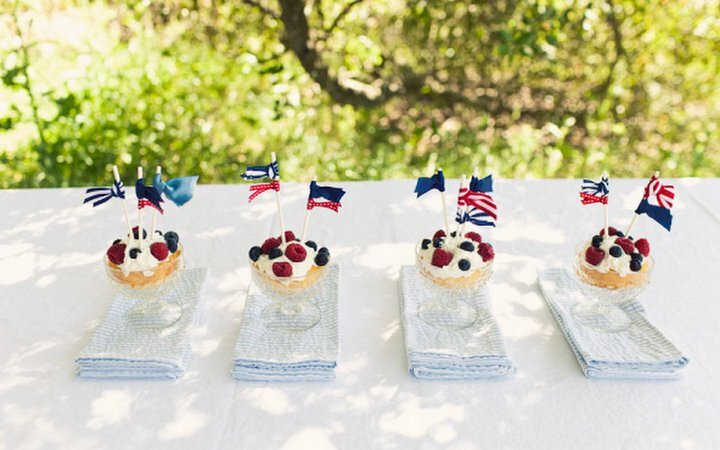 That way, when you show up to and/or host your own party, you'll be able to eat good food while also giving a nod to the good ol' U.S. of A. 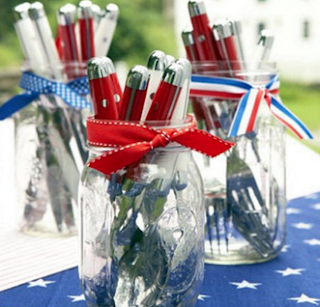 And because you can't eat most foods without utensils...Mason jars and ribbon make for some cute cutlery presentation. 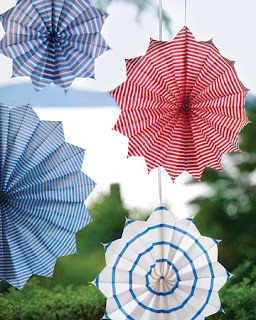 And you can add a little flair to your soiree by making these fabric star medallions using Martha's instructions. Or add a little detail with these cute mini flags using ribbon and wooden skewers. 1. In a large pitcher, combine juice with berries and apple slices. Chill for 1 hour. 2. To serve, peel cucumber and cut lengthwise in half. Remove seeds and cut into thin slices. Stir cucumber slices and sparkling water into juice mixture. Serve over ice. 3. Stir in a few shots of vodka, if desired.